AAA just released their 2011 list of Five Diamond Hotels. 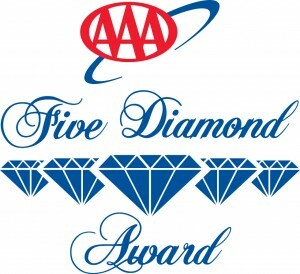 For 2011, AAA added 15 new hotels to bring their total Five Diamond properties to 124. This elite group comprises of just .3 percent of the more than 59,000 AAA Approved and Diamond rated properties. LA Times: FTC Warns About 'Drip Pricing'. Are Resort Fees Coming to an End? This entry was posted in News & Notes and tagged five diamond hotels by TrueGuest. Bookmark the permalink.